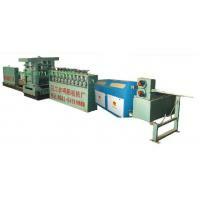 Gongyi Mingyang Machinery Factory is specialized manufacturing enterprise of cold-rolled ribbed steel wire and bar producing equipments, and we have been making improvements for the cold-rolled ribbed steel wire and bar producing equipments, and our products show the features of stable performance and advanced technological processs, and, as as result, are sold to all over China and widely accepted by the clients both at home and abord. ApplicationsWith the quick development of China's building trades, cold-rolled ribbed steel wire and bar are widely accepted by the end user, and widely used in construction, freeway, airstrip, tunnel lining, electric pole, conduit pipe, etc., and have a large potential market and wider applications. Production process: Cold-rolled ribbed steel wire and bar are produced to be 3 sides ribbed steel wire or bar with hot pressing plain steel-bar through reducing diameter by cold rolling equipments. Plain steel-bar are transverse compressed and vertical extended in the process of cold rolling, and the deformation give rise to lattice variation owing to lattice prolonged to be fibriform structure, which make the steel-bar strength increase along with the deformation grade. Our factory are well found in machining equipments and abundant in technical personnel, and we have serial and specialized products with good quality and competitive price, and offer considerate installing service. 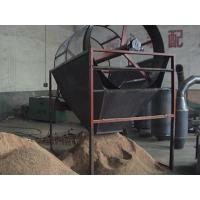 Welcome new and old clients visiting our factory and we'd like to pure-hearted cooperate with you. Gongyi Mingyang Machinery Factory, located in the western part of Henan Province, and Zhengzhou (the capital of Henan Province) to the east, Luoyang (a famous ancient capitals in China) to the west, Shaolin Temple to the south, and Yellow River in the north, have convenient transportation with Lian-Huo Highway across the city. 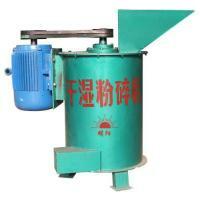 Our factory established at 1980', and our main products include charcoal making machines (Patent No. 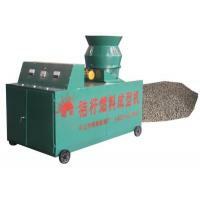 : ZL2005 3 0100084.8), sawdust carbonising machine, charcoal powder forming machine, cold rolled ribbed equipment. and we have developed to be a new type scientific enterprise combining scientific research and development, production, training and trading through more than 20 years' development. 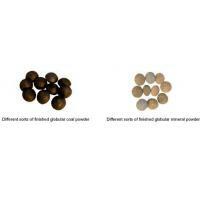 Our products show the features of credible performance, reasonable design, high performance and low cost, environmental friendly and conservation of energy, low investment and quick return, and, as a result, have been sold all over China, and exported to many countries. We serve our clients in line with the principle of customers first, credit supreme”, and sincerely welcome our old and new clients all over the world to cooperate with us.We supply quality equipments and big opportunity for those hope to be rich.